With headset attach rates reaching 60% in 2015, the market opportunity is vast. However, partners need to deliver the right headset for the right solution to optimise the end user experience and leverage the full margin opportunity. Westcon's new "Working Better with Jabra" programme provides you with additional tools for successful sales, focusing on Avaya and Lync, mobility and contact centre. Bookmark this page for news on training, promotions, incentives and more! 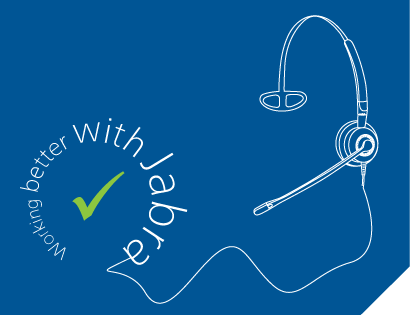 For any questions on Jabra headsets, please contact our dedicated team at headsets@westcon.com. Learn more on our programme microsites for Avaya IP Office and Microsoft Lync.